This team spoke face-to-face with 326 customers. As often happens, this team came into class convinced that their market research proved that their business was providing credit to underbanked customers. 8 weeks later they ended up as a financial service provider for immigrants. Lots of learning and pivots on the way. To see the slide presentation, click here. The ParkPoint Capital customer discovery narrative blog is here. Team DentalOptics spoke face-to-face with 72 customers. Their journey was from a lighting solution for dentists to an automated way to test for periodontal disease. How they got to their destination was truly amazing. The DentalOptics customer discovery narrative blog is here. They spoke to 105 customers and surveyed 98 more. You can watch as this team pivots through Customer Segments by clicking through their business model canvases at the end of presentation. It is the first film-strip of entrepreneurship in action. The slide presentation is here. Interviewed 154 customers in China plus surveyed another 48. This team was trying to do something extremely difficult. Create an app for Renren (a Chinese version of Facebook) for event planning. And do it while in school in the U.S. Lots of learning and Pivots here. The Ziilion customer discovery narrative blog is here. Congratulations to all the teams. They taught us a lot. 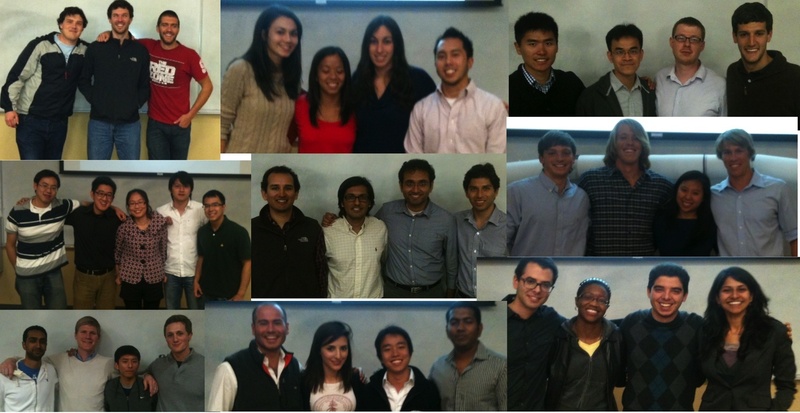 Next week the Lean LaunchPad class will be taught to 25 teams for the National Science Foundation Innovation Corps. And later in the week we’ll be sharing what we learned with other entrepreneurial educators it at the NCIIA conference. Then in April we’ll be teaching Corporate Entrepreneurship at Columbia University. « Idealizing your partner: Relationship poison or protection?